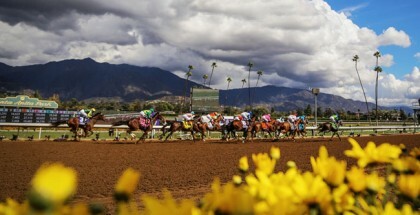 Del Mar Picks & Plays August 1, 2015: Last week we were headed in the right direction with our late Pick 4 analysis, but, unfortunately, our single flopped at the start, and all our hopes thus came crushing down. This week, Del Mar, as usual, offers interesting races, including the Clement L. Hirsch Stakes (G1) with the presence of Beholder. 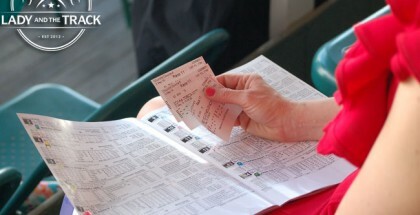 We’re analyzing the full Del Mar card and making some plays to enjoy the card and try to win good money. American Act is the best horse of this field and the likely winner of this race. Additionally, his new trainer usually has his horses fit for their first races after he claims them. I see him winning in wire-to-wire style. This is a cheap claiming race, so I don’t really recommend betting in this one. If I had to select the winner, I would try Noble Kent, a horse that is dropping in class. It is a bit suspicious to see him running here, but his trainer has a high winning percentage with shippers. I would try to beat him with Warren’s Rail Bird. He literally demolished a similar level on July 11 at Los Alamitos. If he can translate that effort to Del Mar, he’ll win this race. Cardiac is dropping in class, and although it’s a bit suspicious, if he is healthy, he should win this race very easily. This field is very weak, and Cardiac has the quality to beat them without opposition. I’m using this horse as a single in my plays. Hold Me Fast was immediately claimed in his first start, and that’s a good sign. He showed early speed in his debut, so he will likely again try to use that as a weapon to win gate-to-wire. Mothernaturespell is a winner of two races, including a superb performance in his last one. Since that race, he has been training great for this race. Tengas Ramson is the horse to beat here; he just needs to emulate his debut performance to win this race. However, sometimes these horses regress a bit after their debuts, so I’m including Lucky Patrick, a horse with a speedy pedigree and decent workouts. 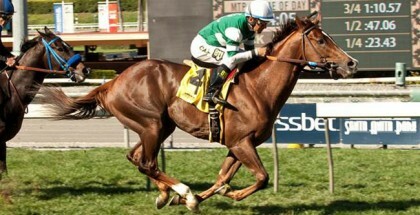 Sensitively has literally been flying in the mornings since her flop as the heavy favorite in the Santa Paula Stakes. She’s trying the grass for first time, but her pedigree suggests she should like it. In case she doesn’t feel comfortable with the surface, Sweet Spell can beat her; she only needs to break cleanly at the start. In her only two races, she was off slowly at the start, an advantage she can’t offer her opponents in this race. Oh Great Idea has been unveiling fast workouts, indicating she should be the one to catch. She is by fresh sire JP’s Gusto who is doing very well with early-maturing progeny. Forever Darling is another filly with good workouts and a pedigree that suggests she likes sprint races. Rafael Bejarano is on board, so we can’t miss the late Pick 4 with him. I’m including Flying Tinkerbell despite the fact that her trainer has 0 wins in 20 starts with first-time starters. She has posted great works at Del Mar, so she could be an exception. There’s not much to say here. Beholder is the best mare on the West Coast and – why not – the best of the country. She’s going to win the Clement L. Hirsch Stakes (GI) with her ears pricked. This race offers no value, so I’m just singling her in the late Pick 4. Smooth Roller is a lightly raced horse, but it seems like he has some quality since he was heavily bet in his debut. He’s stretching out to 1-1/16 miles, but he has the pedigree to handle it. Seeking the West does not like to win, but he has been facing tougher competition. He’s returning from a long layoff and has looked fit in the mornings. Just Kidding found it difficult to break his maiden, but he eventually did it in great style. Sometimes this kind of horse starts a winning streak after they finally break their maiden. Old Man Lake is in great shape and is a horse that, incredibly enough, ran at the bottom level in March and turned into a stakes-placed horse in July. He’s continued working well, so he will surely be in the mix again. Lamaan improved a lot in his last race, and the added blinkers should further help him. Rosicky is still a non-winner, certainly an anomaly since his speed figures are really high. Now, he’s switching to the turf, a surface he can handle according to his pedigree. If he handles the turf, he’s going to win handily. Tirpitz is stretching out to one mile, a distance he should appreciate. He just needs a clean break to have a chance to win.